A video game score performed by a major orchestra in a concert hall? How about a video game score sitting at #8 – with a "bullet" – on the Billboard Classical/Crossover Top Ten? Not likely, you'd say – but you'd be wrong. 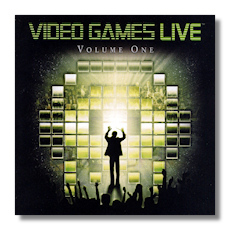 Husband and wife Emmanuel Fratianni and Laurie Robinson's music on EMI Classics' album Video Games Live, Vol. 1 has not only achieved these milestones, but is bringing a whole new generation into the world's great concert halls. As this week's Billboard ranking may suggest, not since Mozart's music was performed in the comic opera of Vienna, has the music of the vernacular crossed over to such popular demand. Perhaps we shouldn't be surprised after all. These video gamers – and they aren't all just kids anymore – have sophisticated ears, and are listening as they play to works composed by artists like Robinson and Fratianni, themselves inspired by masters like Beethoven, Brahms, and Stravinsky. These gamers spend billions of dollars buying games and hundreds of hours playing them – and now want to hear this sophisticated, original music in concert halls, download it to their iPods, and listen to it doing their homework. Many even program their alarm clock settings with it, and buy the ring tones for their cell phones. And as Billboard's Top Ten attests, they are buying records. Fratianni and Robinson – admittedly delighted to be part of this phenomenon – reflected that, as classically trained composer, "our community has been trying for decades to attract a new audience; new generations of season ticket holders. We're proud to be part of this historic moment."